Peninah's Passion is back on Amazon Countdown. 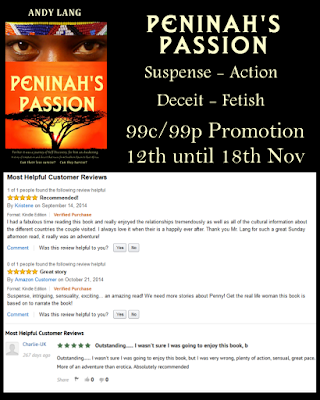 From now until the 18th of November this spicy action adventure is reduced to only 99c/99p. Don't have a kindle! No problem, there are free apps on the Amazon website that allow you to download thousands of free and bargain books to read on your pc or mobile device. Why not try Gondell's Quest, my latest novel.